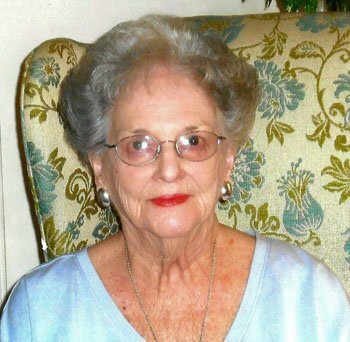 Martha G. Parish went home to be with her Lord and Savior on Tuesday, October 30th, 2018 surrounded by her loving family. She is survived by her son, James R. Parish (Lynda), daughter, Marty P. Greer (Walter); granddaughters, Katharine P. Woolsey (Matt), Summer G. Smith (Will), and Megan P. Greer; great-grandchildren, Grace P. Woolsey, Jackson C. Woolsey, John W. “Jack” Smith, and Benjamin D. Smith. She loved her family dearly. Martha was born in Simpsonville, SC to Ethel Gladys and Benjamin Riley Greene. She attended Simpsonville Schools and received her Bachelor of Arts degree from Limestone College in Gaffney, SC. She was selected as a representative in Who’s Who among students in American Universities and Colleges and also selected by her class as an outstanding leader. After teaching school in Easley, SC she became a stewardess with Delta Airlines where she met her husband to be, John James Parish. They met through his sister, Whitley Parish who was also a stewardess. Jim was an officer in the US Navy and after 22 years they retired to his hometown of Wendell, NC. Jim was the love of her life. From 1964 to her death she was a member of Wendell Christian Church. She served as organist for eighteen years, was a member of the choir and served on the church board. Martha was a member of the Thursday afternoon club and various bridge clubs. Martha’s family would like to thank her loving caregivers and Kindred Hospice of Oxford for their compassionate care. A funeral service will be held 2 pm Friday, November 2, at Wendell Christian Church. The family will receive friends on Thursday, November 1, from 6:00 – 8:00 pm at Wendell Christian Church and other times at the home. In lieu of flowers donations can be made to Wendell Christian Church Living Endowment Fund, PO Box 874, Wendell, NC 27591.